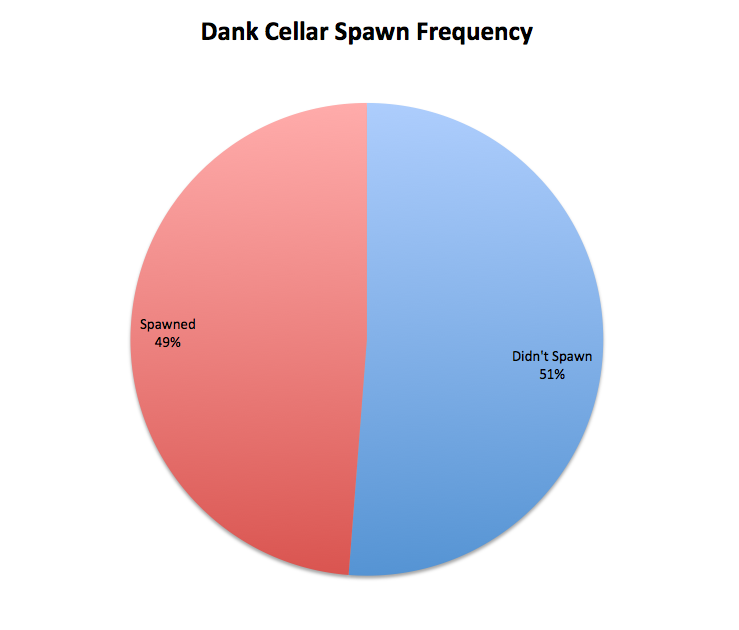 I've read, on a number of occasions, people talk up the Dank Cellar as a good place to get both tons of gold and easy rares. To test this claim myself and a few friends repeatedly farmed the Dank Cellar while noting down drop rates. 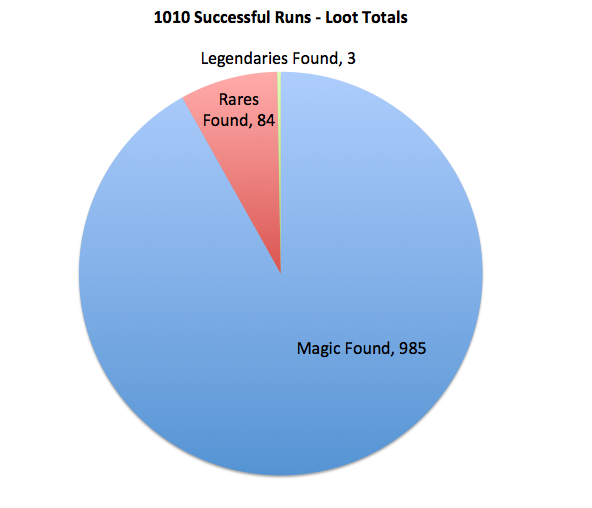 While I have the data for sets, legendaries, rares, and magic drops I decided to only display the rare counts as thats what people generally care about. Note that the Dank Cellar is also an amazing place for Gold, but counting gold on each run without it taking forever is a pain so we opted out of doing that. 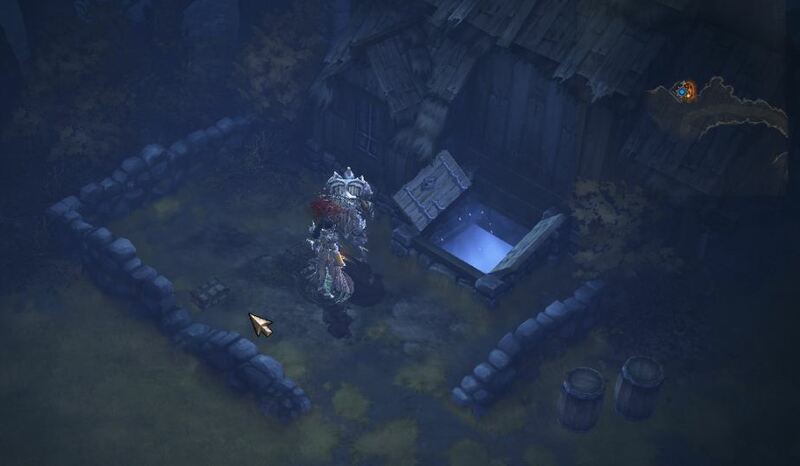 Basically, after 2071 runs on the cellar we had a ~50% spawn rate. That's only an 8% drop rate. 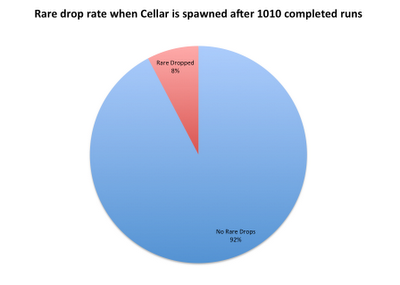 So of the 50% of the time the dank cellar actually appears you only end up with an 8% drop rate on rares. I haven't dug into iLevel specifically, but at first glance it appears that iLevel 60+ items only drop 18% of the time that a rare does happen to drop. TL;DR: Use the Dank Cellar for gold and don't expect good rare/legendary drops unless the RNG gods love you. Also, don't tell others its a good place for rares. I should also note that this was done with each person wearing ~220% MF/GF gear. Why did I write this? First of all, I enjoyed gathering the data and time enjoyed isn't time wasted. Whether this benefits anyone or not is irrelevant, I wanted to see the drop rates and spawn rates for myself. Second, despite what some people have been arguing with me about, I have specifically heard people say that the DC is a good place to efficiently farm rares and items in Act 1. I simply present this to show how efficient it really is, and backup the claim that doing regular 5NV farming runs is more efficient than DC runs. Also, Act 1 is fairly easy, so it nearly has the same risk: none. To those of you who are saying "uberamd, you're an idiot, nobody thinks DC runs are efficient", I just say OK. Fine. Nobody thinks that. Please take your elitest attitude and head to a different post. I didn't start this to argue with anyone. Refute what I've read and heard all you want, I can assure you that I haven't been talking to imaginary people about this.